Freydis Eriksdöttir was a rare woman in the male world of the Vikings. 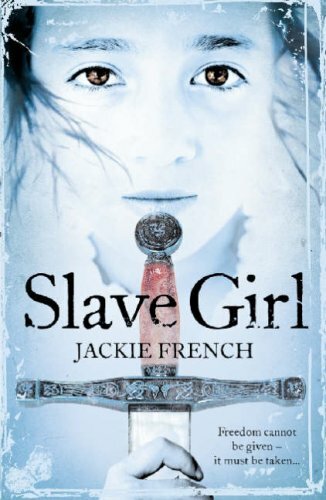 Jackie French has taken events which are related in two of the Viking Sagas and woven a fascinating, absorbing and well-written story. Hekja’s Icelandic village is raided by Freydis and her men and Hekja becomes her slave along with her dog Snarf. Freydis, daughter of Eric the Red, decides to lead an expedition to settle in Vinland where her brother Leif has already travelled. This voyage is excitingly described as is the settlement in the new land with its trading encounters with the Skraelings (Indians). Hekja becomes Freydis’ adopted daughter after standing alongside her in battle. Hekja’s growing confidence in her position and her love for the handsome singer of heroic deeds, Snorri, make for a satisfying story although this is by no means a cosy romance. Freydis’ leading of her men accompanied by Hekja to massacre her traitorous fellow Vikings is not witnessed by the reader except in its aftermath, but is none the less horrifying for that. The harsh world of the Vikings is clearly depicted as is the extraordinary story of Freydis within that wholly male environment. Snarf the dog is an endearing character and Hekja his mistress is centre stage, a quiet but strong presence. There is a map in this story for the reader to trace the Viking journeys, something which pleases this reviewer! It would be good to think that readers of this story would then turn to the Viking novels of Henry Treece.